Trends change all the time, and with the new season pretty much upon us, it’s time to take a look around and see what kinds of looks we’ll be using to decorate our homes this Autumn and Winter. To begin with I’m going to take a look at what’s popular for bathrooms. As ever, these trends tend to be a development from previous seasons, with one or two changes or additions, but that makes it much easier when it comes to updating our homes. Copper accessories have played a part in interior decor for a while now, but are really making it into the mainstream currently. Adding some copper style fixtures or accessories into a monochrome scheme is a guaranteed way to add sophistication or update an older look. Copper is also ideal for the industrial feel which has been around for a while too. If you’re not a fan of the copper shower head, and I’ve always been a fan of Mira electric showers to be honest, then opt for something more practical, and bring the metallic copper style into your bathroom through easy to change accessories. Another look that’s been around for a while now, the Scandinavian feel has really upped its game. Think simple edges, warm woods, dip dyed furniture legs, and folk inspired prints. Geometrics and graphic prints are also big for this look, and there are plenty of towels, bathmats and shower accessories on the high street that will allow you to update your current look. 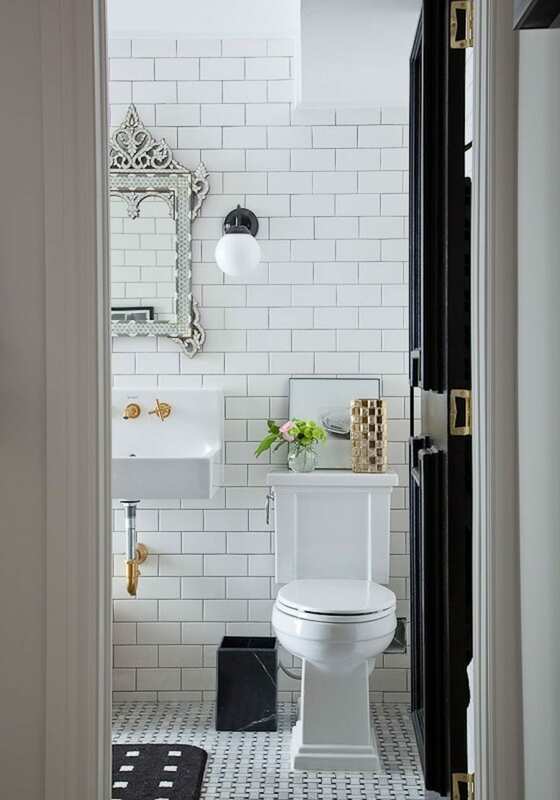 Sian over at Moregeous has some great tips and style advice on how to incorporate the subway or metro tile look into your home. Metro tiling has been around for a few years now, but is still popular and continues to make its way into our homes. 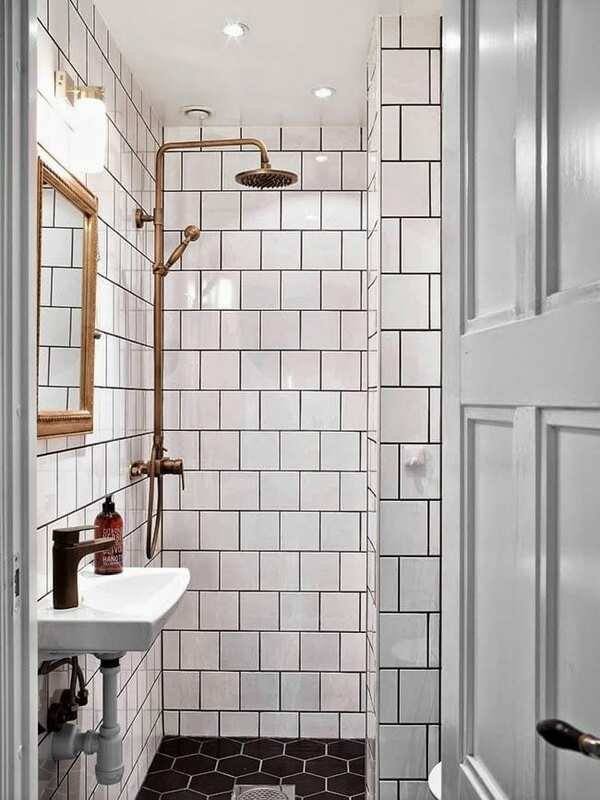 If you love this industrial kind of look, do some research and check out how stunning the metro tile can look. I’m always a fan of revamping an old scheme, and so the nautical or coastal lo0k always inspires me. 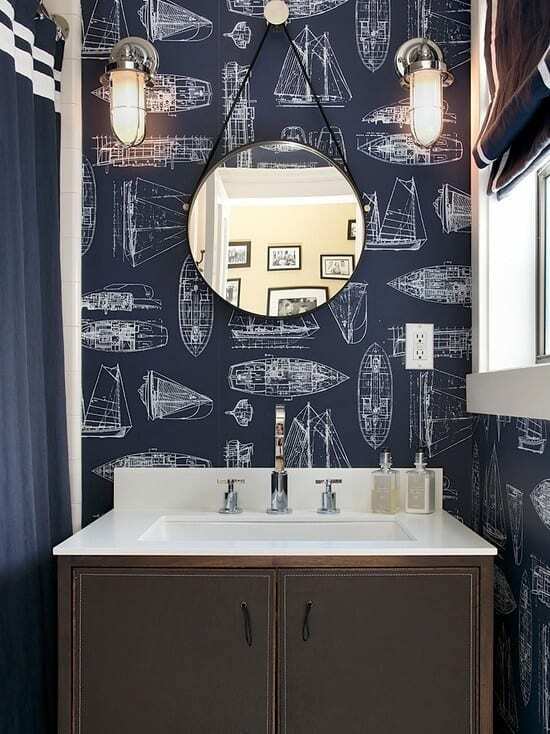 Maybe it’s my love of the coast, but I long for a sophisticated, contemporary nautical bathroom. Mini Moderns has some fabulous wallpaper that you could use to recreate a look like this, particularly in a downstairs loo, if you’re not sure about it in the main bathroom. 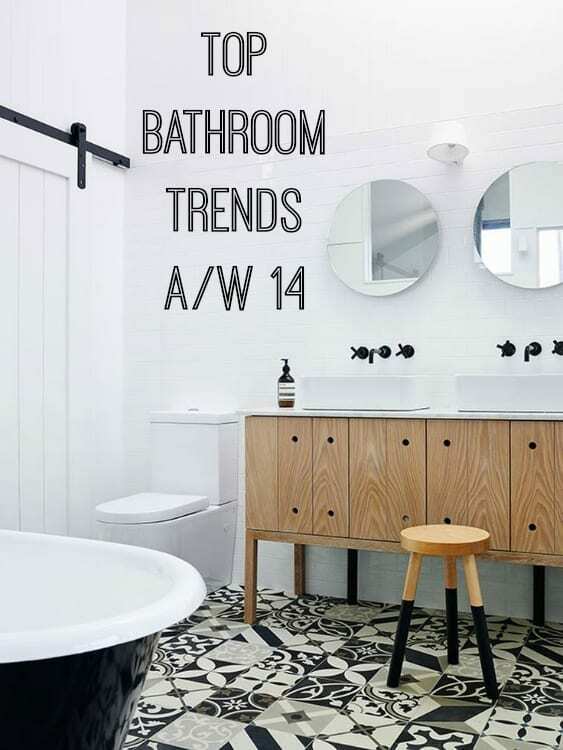 So, are you a fan of any of these bathroom trends? Would you use any of them in your home? 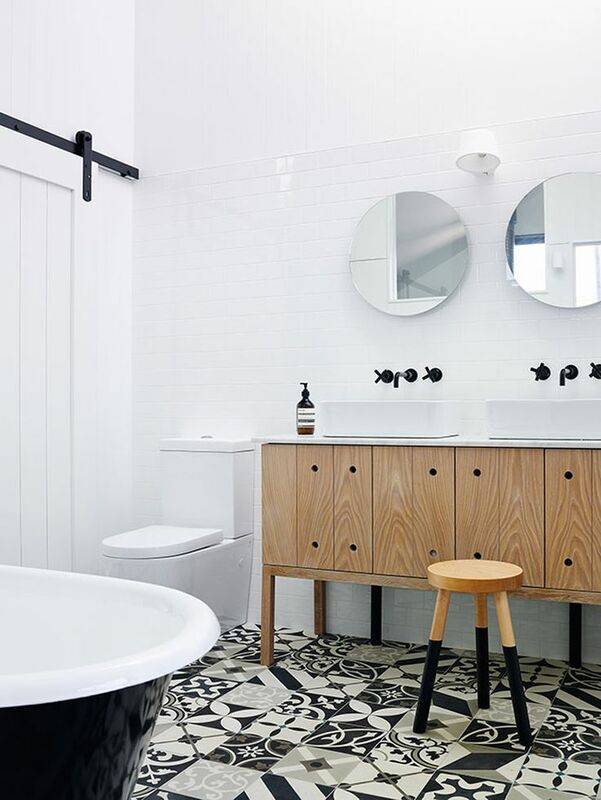 Having just renovated our bathroom we did some research on accessories and tile layouts. We actually chose to do the subway tiling but using larger tiles and I absolutely love it.